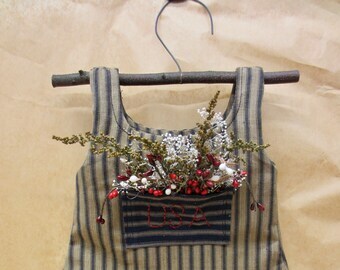 Set of 3 Patriotic Bowl Fillers or Tucks created in the primitive star shape. 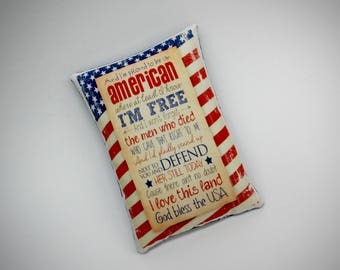 Made from quilt quality fabrics which have been primed. Finished off with a hand tied red satin bow and rusty bell. Dimensions are 8" X 5"
Thank You so much, Cindi, for customizing these stars for me! 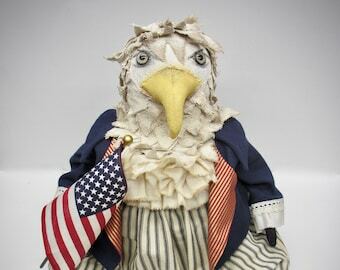 They were perfect along with the firecrackers to be displayed with my gorgeous Patriotic Eagle! Just love them all! 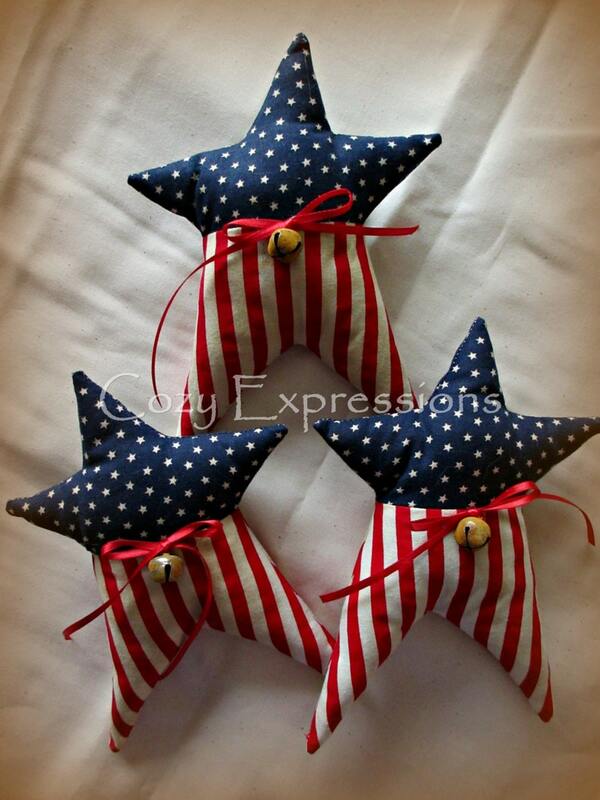 Love these stars, always good work from Cozy Expressions! !